Those growing cannabis know there are many cannabis strains to choose from. 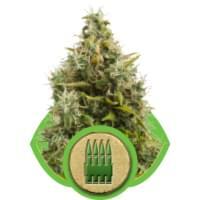 They may grow medical cannabis seeds, feminized cannabis seeds or autoflowering cannabis seeds. Regardless of which they are growing, they all want to start with the best cannabis seeds. The autoflowering variety differs from the other two in that it flowers on its own within two to four weeks and is very fast growing. Learn more as you read the top 10 best cannabis strains available which are of the autoflowering variety. This strain is a fast-flowering cross between Green Poison and Big Devil #2. 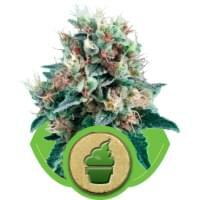 Growing from seed to harvest time in only eight weeks, this is a very fast-growing plant. You can expect 40 to 50 grams per plant depending on the environment. It can grow in small areas such as gardens or balconies. It is known for its very strong taste and aroma and promises to give a smooth, soothing smoke. This one is for the cheese lover. Known for its unique, strong aroma and taste of cheese, it will grow from seed to harvest in just 10 weeks. Grown in optimal conditions, you could expect 135 grams per plant with the average being 40 grams per plant. It promises a strong, physical and soothing effect. This is a cross between the Ruderalis, Indica and Sativa strains and is very popular for its strong growth and large yields. Ready to harvest in just nine weeks after planting, you will get a very strong plant with big dense buds. You can expect 70 to 80 grams per plant. Needing only a mere 75 days to grow from seed to bud, this strain offers a sweet and sour, citrus-like aroma and taste. Depending on environmental conditions you can expect 40 to 160 grams per plant. Ready to harvest in only 10 weeks, you can expect 40 to 70 grams per plant. It doesn't grow too tall which makes it ideal for growing in smaller areas. This is known as a powerful strain and promises an uplifting and creative yet relaxing effect. The taste is said to be fresh and smooth with just a touch of spice. For those with a taste for sweetness, this one is known for its intense, sweet caramel flavor and aroma and strong but relaxing physical effects. Ideal for growing in smaller indoor gardens, you can expect 80 to 110 grams per plant that will be ready for harvest in just eight weeks. This offers a fresh taste and uplifting effect. Because this plant is short, it can be grown in many places others cannot. You can expect 80 to 100 grams per plant in good environmental conditions and may harvest in just 10 to 12 weeks. This potent hybrid of the Columbian, Mexican, Thai and Afghani strains of cannabis is easily grown almost anywhere. It can yield 70 to 120 grams per plant depending on the conditions and will be ready for harvesting in nine to 10 weeks. With a strong, smooth taste and a musky, sweet incense aroma, it promises happy and active effects. This is one of the most compact plants available. That, along with its tight buds, make it perfect for growing either indoors or outdoors in the smallest available spaces. If you simply don't have much room to work with, this is the plant for you. It is possible to get up to 60 grams per plant and harvest time will be in eight to nine weeks. This plant has a very strong aroma and produces mild and relaxing effects. This plant begins to produce flowers almost immediately and is ready for harvest in nine to 10 weeks. It does very well growing inside but can also be grown outdoors if it is in a warm climate. It's possible for this to be one of the highest yielding plants in existence. Some grown outdoors in Spain have been known to produce 200 grams per plant. Those grown indoors average around 90 grams per plant. This offers a sweet taste and comfortable physical effect. Additionally, this plant is also optimal for medical marijuana users. Many growers get their cannabis seeds, also known as weed seeds, from a seed bank. Those who buy cannabis seeds from a cannabis seeds bank are usually trying to get the best seeds for the best results. You will no doubt be happy with the results of growing cannabis seeds if you work with any of the items on this top 10 list. You are sure to enjoy whichever one you should pick as they all offer something special.